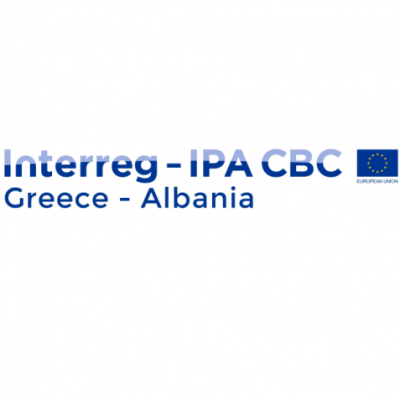 The Interreg IPA Cross-border Cooperation Programme “Greece–Albania 2014-2020” is a cross border co-operation Programme co-financed by the European Union under the Instrument for Pre- accession Assistance (IPA II). The Instrument for Pre–accession Assistance for the period from 2014 to 2020 (‘IPA II’) shall support the beneficiaries listed in Annex I of the Regulation (EU) No.231/2014 in adopting and implementing the political, institutional, legal, administrative, social and economic reforms required by those beneficiaries in order to comply with the Union's values and to progressively align to the Union's rules, standards, policies and practices, with a view to Union membership. Through such support, IPA II shall contribute to stability, security and prosperity in the beneficiaries listed in Annex I of the Regulation (EU) No.231/2014. The Programme’s budget allocated for the period 2014-2020 is 54.076.734,00€. This amount consists of 45.965.222,00€ EU contribution and 8.111.512,00€ national contributions. The national counterpart rate for both Greece and Albania is 15%. For the 4th Call for project proposals, for the project beneficiaries from Albania, the 15% of the national counterpart will be covered by the beneficiaries own contribution. Before submitting any project proposals, applicants are invited to consult the Cooperation Programme approved by the European Commission (Decision C(2015) 5482 of 30-07-2015, as amended by the Decision C(2017) 6809 of 12-10-2017 and C(2018) 559 of 14-02-2018), Regulation (EU) No.231/2014 establishing an Instrument for Pre-Accession Assistance (IPA II), Commission Implementing Regulation (EU) No.447/2014 (implementing Regulation (EU) No.231/2014) and the relevant annexes attached to this call. These documents are available on the Programme’s website at www.greece-albania.eu, on the Managing Authority’s website at http://www.interreg.gr and on the website of the Ministry for Europe and Foreign Affairs of Albania http://www.punetejashtme.gov.al/.  Joint public awareness initiatives for energy efficiency and the use of RES in residences and businesses.  Construction / Rehabilitation of camps, environmental and agro touristic parks.  Increased population awareness regarding energy efficiency.  Contribution to growth in the tourist business sector.  Improve capacity to sustainably use natural and cultural resources in the cross- border area. In case where the indicative amount foreseen for the Specific Objective cannot be used due to the insufficient quality or the low number of proposals received, the Joint Monitoring Committee reserves the right to reallocate the remaining funds the other Specific Objective, with the conditions of Programme amendment (if applicable). After the evaluation, a ranking list of the evaluated project proposals per Specific Objective will be drawn up. In addition, a reserve list of projects may also be drawn. The Joint Monitoring Committee may decide to finance or not the projects on the reserve list. Project proposals must include at least one beneficiary from the Programme area of each country participating in the Programme. National authorities may be considered as beneficiaries from the programme area according to their competences. All beneficiaries should be entitled to implement the project activities. All projects shall be developed and managed according to the Lead Partner Principle. Beneficiaries shall appoint a Lead beneficiary among themselves that shall assume responsibilities according to the Lead Partner principle. The Lead beneficiary will represent the entire partnership towards the Managing Authority/Joint Secretariat and will ensure the sound implementation of the entire project. Each applicant cannot participate in more than two (2) project proposals (both as beneficiary and as Lead Beneficiary). In case of universities and research centres/institutes the above-mentioned limitation is considered per department (faculty for Albania). If an applicant does not conform to the previous rule, as explicitly stated above, all of its project proposals will be rejected. Beneficiaries shall cooperate in the development and implementation of operations. In addition, they shall cooperate in either the staffing or the financing of the operations or both. The total number of beneficiaries should not be less than two (2) and must not exceed four (4) including the Lead beneficiary for both Specific Objectives. they are non-profit2 and have a legal personality. Bodies governed by public law (under category b. above) and private organisations (under category c. above) must be operational for at least 24 months before the launching of the call for proposals. If a body governed by public law or a private organization is participating through a branch located at the Programme area, the branch must be operational for at least 24 months before the launching of the call for proposals. It should be noted that private entities not falling under the above categories b. and c. are not eligible. Further information about the eligibility of partnerships and the Lead Partner Principle is provided in the Programme and Project Manual (Part A. Programme Guide). 1 Bodies governed by public law as defined in Article 1(9) of Directive 2004/18/EC of the European Parliament and of the Council of 31 March 2004 on the coordination of procedures for the award of public works contracts, public supply contracts and public service contracts (http://eur- lex.europa.eu/LexUriServ/LexUriServ.do?uri=OJ:L:2004:134:0114:0240:EN:PDF) and in compliance with the national legislation of each participating country. 2 Profit is the making of gain in business activities for the benefit of the owners of the business (paying out dividends). The project activities shall not be physically completed or fully implemented before the application for funding is submitted. Projects should be concluded within a maximum period of twenty four (24) months, after the signing of the Subsidy Contract between the Managing Authority and the Lead Beneficiary. Eligibility of expenditure for beneficiaries from Greece commences on the 1st of January 2014. Eligibility of expenditure for beneficiaries from Albania commences on the 22nd of September 2014. The final date of eligibility of expenditure should be the end date of the subsidy contract in force and under no circumstances may exceed the 31st of December 2023. Eligibility rules on activities and related expenditure are described at the Programme and Project Manual, in the Commission Delegated Regulation (EU) No 481/2014 of 4 March 2014, the Ministerial decision on Management and Control System (for Greek beneficiaries) with regard to specific rules on eligibility of expenditure for Cooperation Programmes. The Project Proposal must be submitted electronically to the Programme’s Managing Authority/ Joint Secretariat (JS) via MIS. The Monitoring Information System (M.I.S.) is an information and management system for projects co financed under the National Strategic Reference Framework (NSRF) and the Community Support Framework (CSF). The submission of the project proposal to the MIS is obligatory. The fields of the MIS system are in accordance with the fields of the Application Form (excel file) apart for the detailed description sheet. The “Application Form” as it is produced by the MIS in PDF format. The Lead Beneficiary has to print the file that is produced by the MIS, sign and stamp it and upload it in the MIS. The “Co-Financing Statement and Non-Double Financing” completed, stamped and signed by each beneficiary separately, uploaded in PDF format. The JS may also request additional documentation for clarification of the above issues, during the evaluation procedure. All the required documents of the proposal must be electronically submitted at the latest until the 31/01/2019, 23:59 local time (Eastern European standard time). In case the proposal is submitted after the above date and time, it will not be considered as eligible. In cases where, during the proposal submission and/or evaluation, it derives from the compatibility check that there are indications of State Aid, then the clauses of the Regulations of 1407/2013 (De Minimis) or 651/20141 (GBER) are applied. Especially, articles 14 (Regional investment aid), 53 (Aid for culture and heritage conservation) and 56 (Investment aid for local infrastructures) are applied. The aim of the evaluation procedure is to select the best project proposals, according to the criteria set out in Annex “Project Selection Criteria”, in order to best achieve the expected results of the 4th Call for proposals and contribute to the fulfilment of the objectives of the Programme itself. After submission, each project proposal will be evaluated based on specific selection criteria and will be subjected to a two-phase selection procedure, carried out by the Joint Secretariat (JS) as referred in the Interreg IPA Cross-border Cooperation Programme “Greece-Albania 2014-2020” (Section: Submission of Proposals and Selection of Operations). This evaluation will result to a list for projects to be approved (pre-approval) under the condition of the evaluation for the eligibility of the beneficiaries participating in them. The eligibility of the beneficiaries is carried out by the Joint Secretariat (JS) with the support of Operating Structure (OS). For bodies governed by public law (of article 5.b above) official documents providing evidence that the requirements of article 5.b of this call are met. In case that the nature of a public body is not clearly delivered from the submitted documents, the JS or MA may request additional documentation for clarification.  Statutes including all modifications for the past 2 years.  Official document indicating the composition of the administrative/managerial or supervisory board.  Official document indicating the sources of the body’s revenues, during the last two years preceding the presentation of the project proposal.  Declaration for the non-distribution of profits.  Any official document certified by a public administration authority, providing that the organisation operates for at least two years before the launch of the specific call for proposals. For bodies governed by public law (of article 5.b above) that have been established by a Law or Presidential Decree, the submission of a copy of the respective Official Government Gazette where the establishment of the branch is being mentioned is sufficient. In any case, the documents above must provide evidence that the branch was established and in operation for the period required by the call under each type of beneficiary/category of beneficiary. 4. The Legal Entity Form (standard form provided), filled in, stamped and signed by the each beneficiary in Albania. The MA ensures that the evaluation procedure is carried out in accordance with the requirements of the 4th call for project proposals and the approved selection criteria. The evaluation procedure is analytically described in Annex, “Project Selection Criteria”.